Needed – 100+ performers from all walks of life for award-winning production being produced in Barrie. "Simple in it’s power. A coups!” Now “Maxine Heppner is an audacious choreographer. Headlines writ large” Globe and Mail Named one of Toronto’s top 10 dance shows of 2009. THINGS happen to good people in unexpected places, suddenly. Just when you least expect it: a drink spills, a window breaks, a siren screams, the world becomes loud...or silent. The show needs 100 + performers of all ages, levels of experience and backgrounds , from professionals to people who simply want to perform, from babes in arms to elders, because these “things” - funny, shocking, wonderful, sad - can and do happen to anyone, anywhere, anytime. KRIMA has already been successfully produced in very different environments with different casts in Toronto and Hamilton, Canada, and Athens, Greece. This year we will create it in Barrie. The essence of the show is to remind people relatively comfortable in their personal lives that they are not immune to events that seem to happen only to people “less fortunate” than themselves. The theme is gentle, harsh, pragmatic, and philosophical about life, hardship and human relationships. Awareness of here-now and community donations: To carry the spirit of the work into the tangible everyday world, audience members will be asked to make a contribution towards the David Busby Street Centre. We hope that KRIMA reminds people that “but for the grace of god” they could be the people in need. What is the time commitment for performers? Local performers’ commitment is 3-4 rehearsals minimum in advance and the whole day of the show. The movement material is learned in one rehearsal and then developed to highlight each performer’s strengths. Rehearsal times are set to accommodate varying schedules of performers. There will be some special walk-on roles and some more extended roles. The piece is based on a 5-minute dance that everyone learns. It takes about 75 minutes to learn it. Maxine and the professional creative team identify special skills that the local performers have and work those skills into the show. Principle roles are shared between the Krima “team” and local performers. Represent a group of performers? Schedule rehearsals by appointment at your facility. 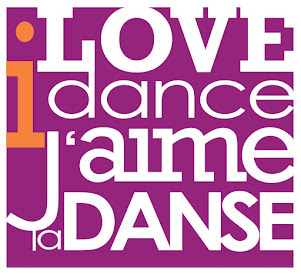 Friday Nov. 14, 10:00am-11:30am – The Dance Academy of Barrie, 4 Alliance Blvd. Thursday Nov. 20, 10:00am-11:30am – The Dance Academy of Barrie, 4 Alliance Blvd. Saturday Nov. 22, 3:00pm-7:00pm The Creative Space, 12 Dunlop St E.
Join the ensemble and be at the heart of the unexpected! What does Krima! mean? Krima is a modern Greek expression that means “what a shame”. It comes from the ancient Greek that literally meant “crime”. When someone says “krima” they may be sarcastic about a friend making a drama about nothing, or they may be actually acknowledging that an event is “shameful” and should never be allowed to happen. The main creative team is: Maxine Heppner, who has had years of experience working, teaching and creating worldwide. Principles performers are Miko Sobreira, Lilia Leon and Takako Segawa The rest of the professional team include technical director, project manager, stage manager, assistant rehearsal director. the local focus of the organization continues to provide residents of Simcoe County the opportunity to enjoy professional contemporary dance right here at home. The David Busby Street Centre focuses on reducing the impact of poverty, homelessness, insufficient employment, addiction and mental health issues through outreach and services to participants in the Simcoe County area. Since 1993, the David Busby Street Centre has been operating as a drop-in centre in downtown Barrie, providing a warm, safe environment for homeless or marginalized people, low-income families, the working poor, youth in distress and seniors who are struggling financially. Awareness of here-now and community donations: To carry the spirit of the work into the tangible everyday world audience members will be asked to make a contribution towards the David Busby Street Centre. We hope that KRIMA reminds people that “but for the grace of god” they could be the people in need and that they donate. Initial creation of the work was in cooperation with Booze Cooperativa, Lucky Duck Productions, Athens Central Immigrant Aid Centre, and with Yelp!, and Eniamorfo dance companies, in Athens Greece. Funding for further development of the work came from The Toronto Arts Council and Dance Ontario in Canada and private sponsors. The Toronto show was a co-production with the Young Centre for the Performing Arts. The Hamilton show was co-produced with Public Utility Performance at the Downtown Arts Centre. The Barrie version is with the Simcoe Contemporary Dancers and The David Busby Street Centre supported by the Canada Council for the Arts, The Ontario Arts Council and the Trillium Foundation. Thanks to all performers in Greece and Canada for their generosity, spirit and talent. This project is supported by The Canada Council for the Arts, the Ontario Council for the Arts and the Trillium Foundation. Simcoe Contemporary Dancers acknowledges the support of The City of Barrie.